The rotund, almost ball-like bowl of the "320" Author, paired with the short, stout shank and bent stem is a combination that works incredibly well. 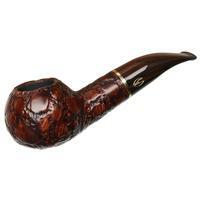 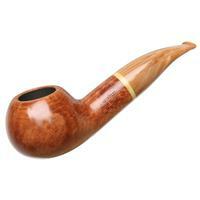 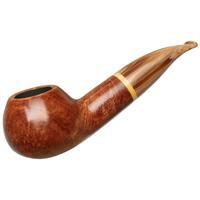 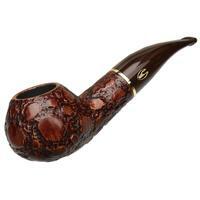 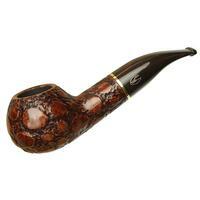 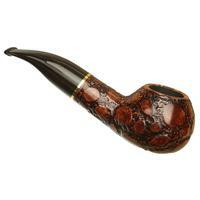 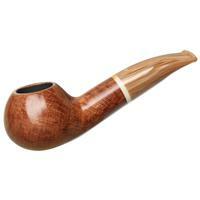 Furthermore, as is the case with all of the "KS" size designated pieces, this is quite a large pipe. 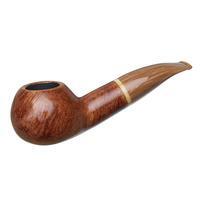 Like so many of the other Apple family shapes, the Author isn't normally a shape I think of as being a big pipe, but it fits here, with the size emphasizing the big, bold masculine lines of the shape.